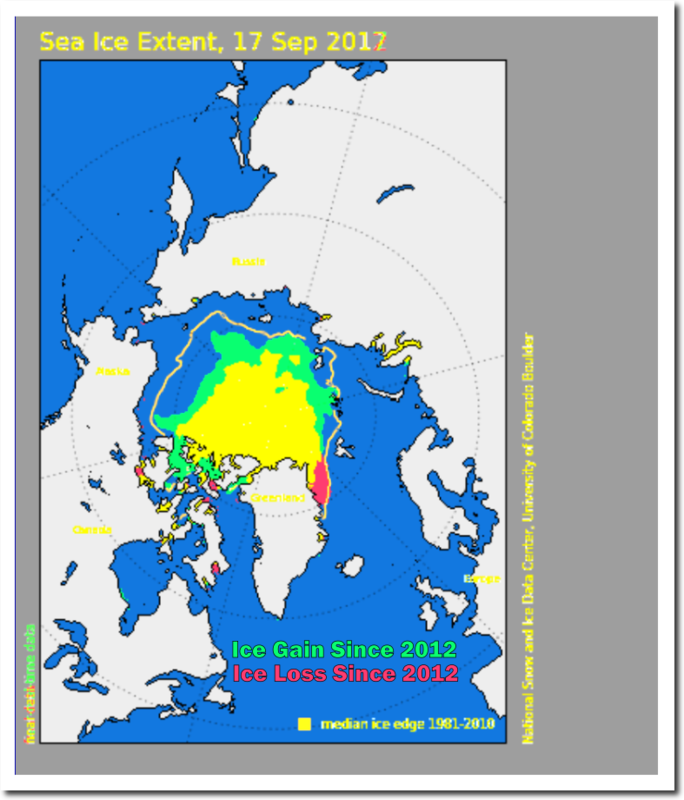 Arctic sea ice extent is up 40% from this date five years ago. 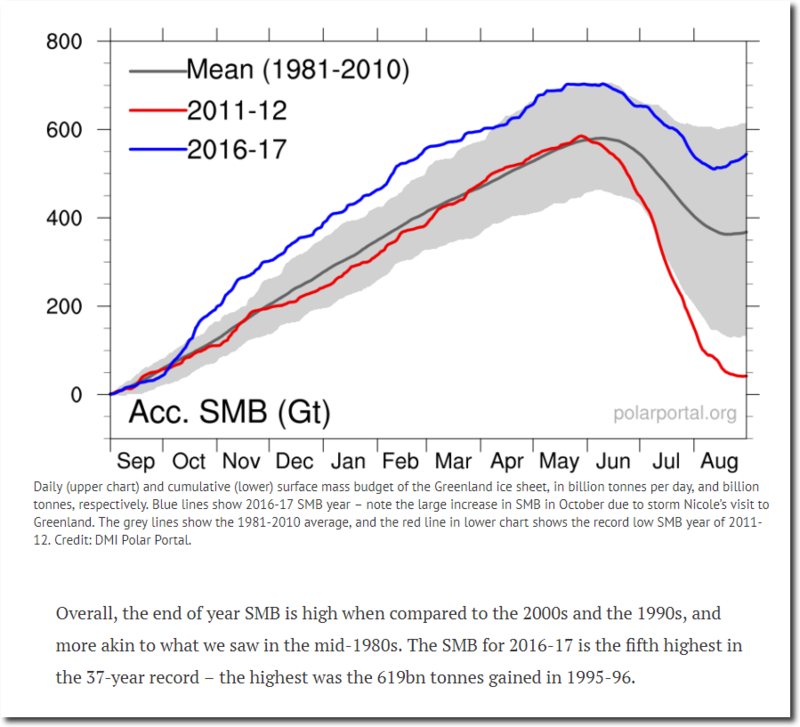 Greenland’s surface gained ten times as much ice as it did five years ago, and was the fifth highest on record. Greenland’s most famous glacier, the Petermann Glacier, has grown substantially and steadily over the past five years. 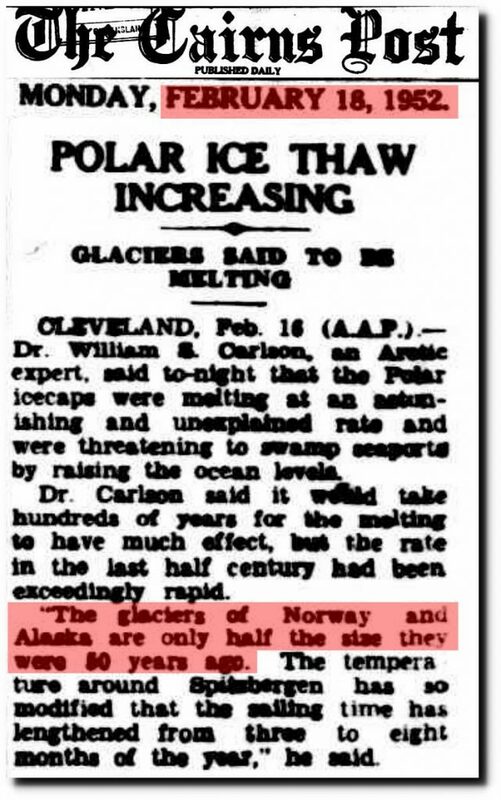 This is a big change from 1939, when the glaciers of Greenland and Norway were facing catastrophic collapse. 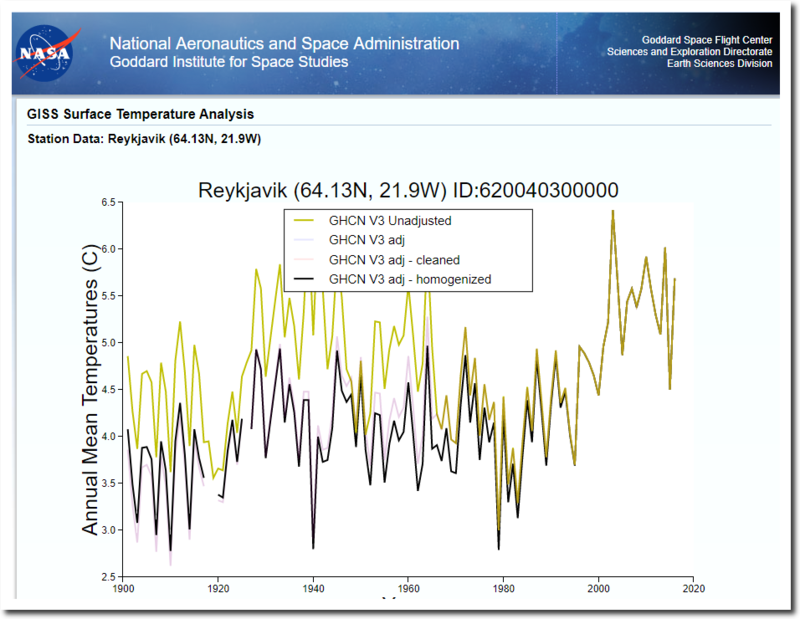 NASA responded quite predictably to the inconvenient 1930’s warmth in the Eastern Arctic – by simply trying to erase it. 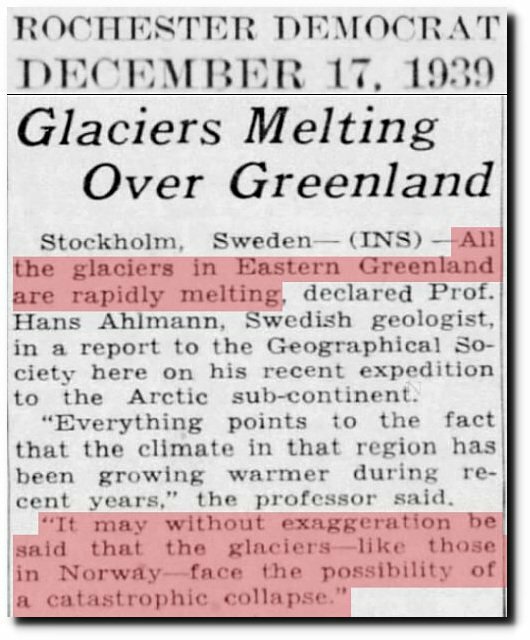 It is also a big change from 65 years ago, when the glaciers of Norway and Alaska had lost half their mass, and threatened to drown seaports. 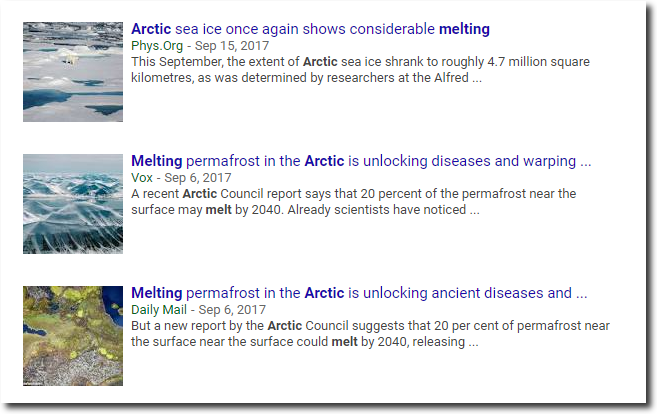 Climate scientists have responded to this years large Arctic ice gain by doing the only thing they know how to do – lie about it.